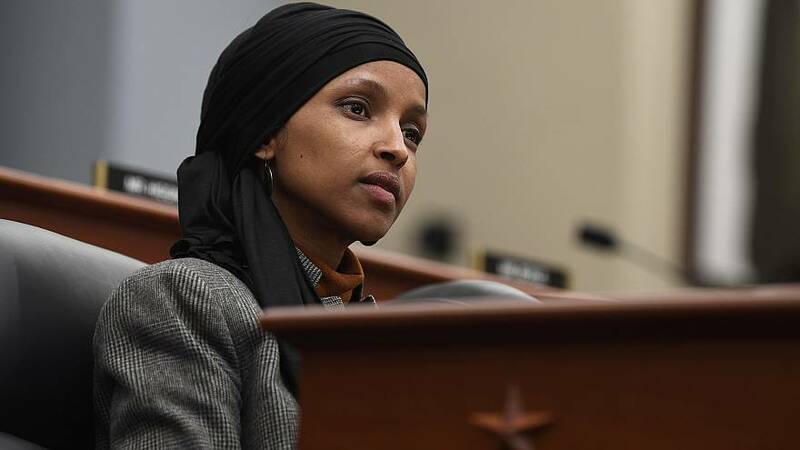 A New York state man was arrested and charged Friday for threatening to kill Minnesota congresswoman Ilhan Omar, the U.S. attorney's office said in a statement. On March 21, at about 12:20 p.m., Carlineo allegedly told a staff member for the Democratic freshman lawmaker: "Do you work for the Muslim Brotherhood? Why are you working for her, she's a (expletive) terrorist. I'll put a bullet in her (expletive) skull," and identified himself during the call, federal prosecutors said. Carlineo made an initial court appearance Friday afternoon and is being held pending a detention hearing on April 10, the U.S. attorney's office said. Omar, a Somali refugee, faced backlash this year for comments she made about Israel. "I want to talk about the political influence in this country that says it is OK for people to push for allegiance to a foreign country," she said last month. She later apologized saying her intention was "never to offend my constituents or Jewish Americans as a whole."